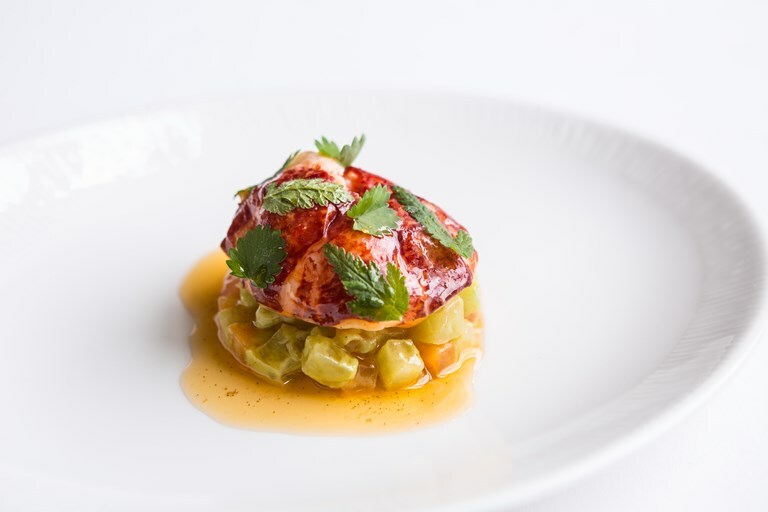 A beautifully simple lobster recipe from chef Russell Bateman. The unusual inclusion of sweet vanilla is a wonderful addition to the delicate lobster meat. When preparing your lobsters, place in the freezer for at least 2 hours first.